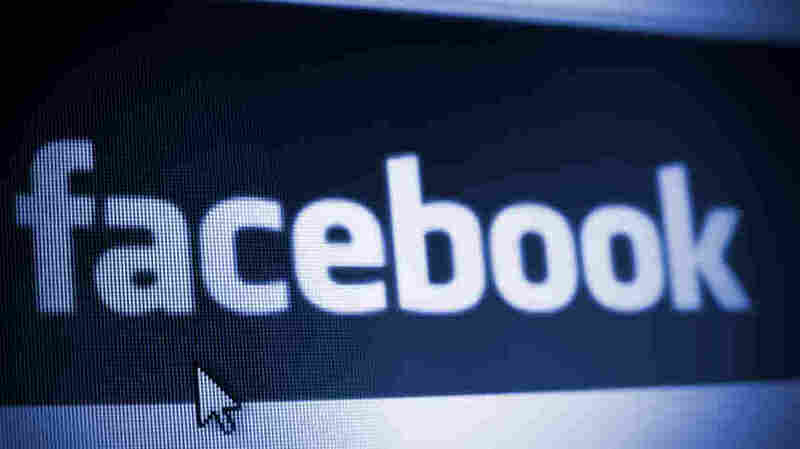 Drug Companies Shy About Facebook Sharing : Shots - Health News Drug companies are taking down Facebook pages that refer to prescription drugs, fearing the ire of the FDA. But patients may lose out if they can't ask companies about how to use their products. Drug firms fear that being "liked" on Facebook could get them in trouble with the FDA. People love how Facebook lets them comment on and share other people's posts. But the idea of sharing on social media has got drug companies scared. When Facebook told drugmakers that they had to start allowing comments on their Facebook pages, some of those pages started disappearing. "Take On Depression" suddenly disappeared. "ADHD Moms" vanished, too. So did "Epilepsy Advocate." In the past, drug companies had been reluctant to create Facebook pages without a guarantee that they'd be closed to public comments — a unique accommodation on Facebook's part. But that accommodation ended last week. Diabetes blogger Amy Tenderich thinks it's high time the drug companies quit walling themselves off. She's the founder of Diabetes Mine, an independent site. She says: "The notion that they would be able to be able to put up these Facebook pages and then close them off to comments is ridiculous." On her site, people with diabetes comment a lot. They share information on what drugs they're taking, give each other advices on dosages, and tell people which drugs are working for them, and which are causing side effects. For Tenderich and others, the whole point of social media like Facebook and Twitter is to comment on other people's posts. But drug companies have to play by different rules. The Food and Drug Administration requires that each a drug manufacturer mentions a prescription drug, they also have to list its risks and side effects. That's called fair balance. "You see some of those magazine ads that are three and four pages long and you wonder why they are?" asks Tony Jewell, who supervises drugmaker AstraZeneca's social media efforts. "It's because we're communicating the full risks, benefits and appropriate use of the medicine. That's a little bit harder to do in a social media channel like Facebook and Twitter." One big reason companies cite for killing Facebook pages is that they wouldn't be able to adequately police comments with inaccurate information about prescription drugs. "So they might say, 'Lipitor's great at whitening your teeth,' which it's not approved to do," says Jonathan Richman. That's his example of a potentially dicey comment. He's a group director for the Possible Worldwide ad agency in Cincinnati, and he closely follows the drug industry's social media efforts on his Dose of Digital blog. "The question becomes, What's Pfizer's liability? What action could the FDA take, based on somebody else posting that?" So far, the FDA hasn't come down on a single drug company for allowing public comments. The only action the agency has taken against use of social media was last year, when it warned Novartis that a Facebook "share" widget for the leukemia drug Tasigna violated fair balance. But the FDA also hasn't told the companies how to use social media and still follow the "fair balance" rule. In November 2009, the agency held public hearings on how pharma companies should use social media. But the FDA has yet to issue official guidance. Jewell says that because of that, his employer and other companies are erring on the side of caution. Tenderich says patients would benefit from a rich interaction with drug makers. She sees more and more drug company employees interacting on her site, giving advice on behalf of their employers. That's a huge benefit for patients, she says. The pharmaceutical companies could benefit, too, she says, by learning what problems patients are having with drugs, and how to make them better. "They could get so much fantastic, free, very high-value feedback," she says.